Hello again, peeps. Yes, this post was meant to be up on Friday, but here’s my two-word excuse: writer’s block. Sometimes I find it extra difficult to describe how I feel about a song, when ‘I LOVE it!’, ‘I HATE it!’, or ‘meh’ (for those entries that inspire indifference) won’t cut it. But I’ve tried, just for you, to battle through the blockage, and be supremely descriptive and hilarious for this second set of ranked reviews. Now, as the delegations take their first steps on Maltese soil, let’s get on with numero eleven…o. And what do you know – it’s Malta! Sounds like: Cezar. On Xanax. In a Federica suit. What I think: For their first Eurovision entry on home soil, Malta has selected something that may seem out of place in JESC. But Federica isn’t giving seasoned Junior fans their first taste of operatics – if you recall Belarus ’09 and Moldova last year in Kyiv, you’ll know JESC’s seen mini Cezars in the past. Really, Federica’s more of a mini Malena Ernman, and with her flawless, way way WAY beyond-her-years vocal chops, she out-operas all who have come before her in this contest. But is that a good thing? For a start, all I’ve talked about so far is her voice, rather than her song which is what I’m supposed to be reviewing. It’s a voice that I find pretty darn distracting when watching her in action, as my brain struggles to comprehend that it’s coming out of a child. To be honest, it’s hard to take seriously, in an ‘Israel: Eurovision 2004’ kind of way. But maybe the juries and voters will find it impressive rather than unbelievable. I wish I did, because I actually like Diamonds. It’s sophisticated and atmospheric with a decent build, and if you can call something so slow ‘catchy’, then it’s that too. I just don’t know if I need more time to get used to the voice and the song as a double act, or if it’s just not gelling for me. The verdict: I’m confused by my own opinions on this one, but I guess the bottom line is I do like the song. 6 points. JESC chances: With the home advantage and all, I can see this in the top 5. What I think: Yep – this brings back memories alright! So many competitors in recent Junior history have taken a more mature approach to the contest, arriving armed with songs that could pass as adult entries after a tweak or two. So it’s nice to hear something that harks back to the days when the music was more kid-oriented. Maša and Lejla, Montenegro’s debut reps, are even demanding that we all be a kid for a day, which I’m more than happy to do (I’m not really a proper grown-up anyway). Their song is young, fun and infectious, not to mention (I say, as I’m about to mention it) totally sing-alongable. And, the fact that it’s reminiscent of JESC’s golden years is a definite plus. A negative which won’t matter on the night, but one that prevented me from enjoying my first listen of the song, is the ATROCIOUS music video in which both the girls look like they want to be literally anywhere else than in it. Granted, more JESC preview videos are bad/boring than brilliant, but sometimes one has to say to oneself, ‘Let’s leave it.’ I.e. ‘Let’s not inflict something so cringe-worthy upon the world’. Negatives more pertinent to how Montenegro will fare in their debut = that spoken English part (cheesy and unnecessary) and the question mark floating over Maša and Lejla’s live vocal abilities. So if I mute the speaking part, then turn the sound up and find the duo harmonising like angels, I’ll be happy and hoping for some success. The verdict: This is a cute and catchy number made for JESC. 7 points. JESC chances: And yet, I can’t see it pushing higher than the 9th-place mark. What I think: Poor San Marino got a raw deal last year as far as I’m concerned. The magnificent Michael Jackson tribute act that was Michele Perniola missed out on a commendable result by quite a distance – and from time to time, I’m still compelled to sob into my own gold bolero jacket in an attempt to ease the pain. If Michele couldn’t crack JESC, I don’t see how The Peppermints – one of whom is his sister – could, but I’m fond of them all the same. I feel like a lonely advocate for Breaking My Heart, because the majority of fans seem to be praising the girls’ vocals but trashing the song, whereas I’m the other way round. I enjoy the eighties-meets-noughties sound of the song, and I think the title has been used well in the construction, so you quickly get used to the transitions between English and Italian. Sure, the song’s inoffensive, and it’ll have a hard time getting the crowd going…but I think it’s charming. My issue with it is something that may get the crowd going…going as fast as they can out of the Marsa shipyard, that is, and that’s the vocals. The harmonisation in the studio version is off, making it sound like a demo recorded in two seconds by a bunch of strangers who’ve never sung together before, just so it can be rushed off to the actual, seasoned group of performers. Strangely, the girls sounded better live when they sang a snippet at their presentation event, so maybe the studio did them an injustice. I hope so, because I like this entry and I don’t want to spend San Marino’s three minutes with my fingers in my ears (that’s what Russia’s three minutes are for). The verdict: If you’re not loving this, I might be about to break your heart…7 points. JESC chances: Not last, not last, not last…come on, get them to 12th or 13th, Europe! The verdict: Thomas G:son’s originality level ain’t so high with this one, but it appeals to me anyway. 8 points. JESC chances: It’ll struggle to bypass Cyprus and the Netherlands, methinks. 9th-12th. What I think: Cyprus is one of a handful of countries we’re welcoming back to JESC this year, and based on a) their previous attempts in the competition and b) the quality of Sophia’s entry, I am very happy they made the decision to rejoin the competition. Back when the title of this entry was released, I assumed a sickly-sweet ballad was coming our way, so when the song premiered I found myself pleasantly surprised – even though it is run-of-the-mill dance pop á la the Swedish and Dutch entries. The thing with dance pop is that it doesn’t have to be original to appeal. I Pio Omorfi Mera has all the qualities of the genre that make it work time and time again: an infectious melody, a big anthemic chorus, a thumping beat that makes you want to go totes cray in the club, a…uh…well, that’s about it. But that’s enough! What I also like about it is that while Cyprus has gone down the ‘let’s chuck in some English at the end because we can’ route, they’ve eased the English into the song so it doesn’t seem random and unnatural. The Greek and English lyrics suit the style of the song equally well. Can Sophia sing said lyrics in tune with the energy and enthusiasm required to bring the house down, though? The evidence of her vocal prowess is all over Youtube, but her Junior entry is a challenge. I find it hard to nail in the shower, and I usually sound awesome in there (you’ll have to take my word for that). If S.Patz can do it though, Cyprus could be to the scoreboard this year what Ukraine was to the scoreboard last year. Perhaps being called Sofia/Sophia is a good luck charm? The verdict: I will be busting multiple moves to this next weekend. 10 points. JESC chances: It could win, but I’m not 100% convinced it will. 2nd-5th is definitely within Sophia’s reach. What I think: My first impressions of the Class of 2014 have changed drastically in a few cases – for instance, there’s a song now in my top five that I hated the first time I heard it. When I listened to the Junior Songfestival finalists for the first time, all I could think was ‘What a snoozefest!’, Around included. But I knew it was the favourite, and I knew it’d most likely win. And here we are. And now I LOVE THIS SONG! I’m not sure exactly when/how it happened, but I have become a little obsessed with it. I can’t really explain why I’ve ranked it above Cyprus – I suppose there’s something about it that seems a little less cliché and a little more cutting edge (even though the dubstep break is soooo 2012). It is one of the most repetitive songs in the competition, but that chorus is so easy to sing along to and so easily gets burned into your brain that I don’t think it’s going to be a bad thing. Julia seems to be a pretty confident, capable performer who should breeze through her performance – JESC’s just a (considerably) flashier JSF, after all. With such a slick, modern number up her sequined sleeve, her main rival when it comes to securing votes will be Cyprus. I’m not sure there’s room for both of them in the top five. Who, if either, will make it should come down to the running order and what happens on the night. But could we not have a repeat of the shockingly average Dutch result from last year, please? The verdict: Pardon the pun, but I’ve done a complete turnAround on this one. 10 points. JESC chances: I don’t want to jinx it, so I’m going to predict 6th-10th place. You don’t have to be a genius to figure out which countries are missing (unless your definition of ‘genius’ is ‘someone who’s familiar with all sixteen countries competing in Junior Eurovision 2014’). But just in case you’re having a slow day, they are Armenia, Belarus, Bulgaria, Italy and Ukraine. That’s my top five in alphabetical order, but you’ll have to wait another few days to find out how I’ve ranked them. In the meantime, let me know what you where you stand on the songs above. Has Federica Falzon warbled her way into your heart, or will you be stuffing whatever you can find into your ears when she takes to the stage? Is Sophia Patsalides’ most wonderful day your worst nightmare, or have you got your Cypriot flag at the ready? Whatever your opinions, let me know below. PS – Only six days to go! 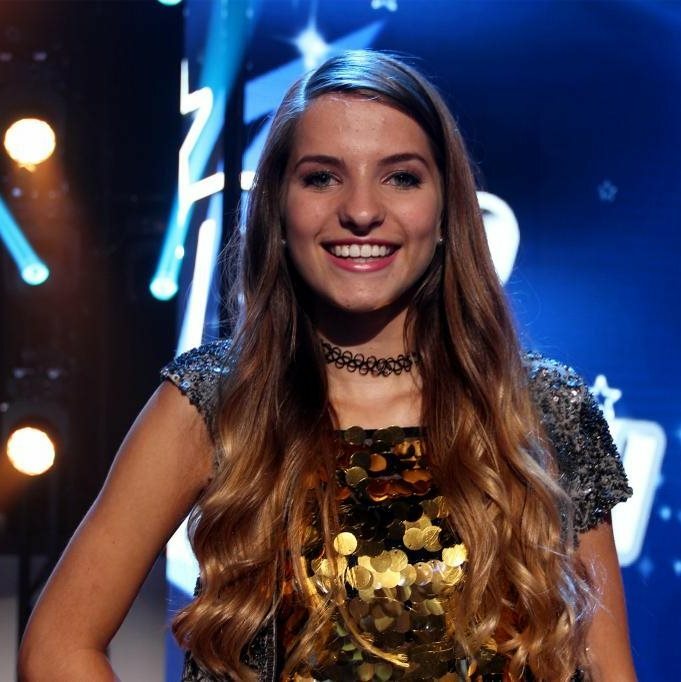 Posted on November 10, 2014, in Junior Eurovision, Reviews and tagged Federica Falzon, JESC, Julia, Julia Kedhammar, Junior Eurovision 2014, Malta, rankings, reviews, Sophia Patsalides, The Peppermints. Bookmark the permalink. Leave a comment.